There is a reason thieves counterfeit handbags. 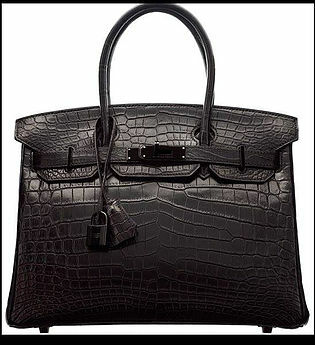 Authentic Kelly and Birken bags, with exotic skins, routinely sell for over $100,000. Due to the accessibility and abundance of handbags online and at auction, there is a proliferation of counterfeit bags in the marketplace. According to the Organization for Economic Co-Operation and Development, $450 billion dollars worth of counterfeit goods were bought and sold last year, which helps fund organized crime, drugs, guns, and human trafficking. Today's faux bags look, feel, and even smell real. Counterfeit bags have gotten much more sophisticated and harder to detect. In fact, practically every luxury designer has been knocked off, including Dior, Gucci, Hermes, and Louis Vuitton. The majority of these fake bags are coming from China, Hong, Kong, India, and Singapore.